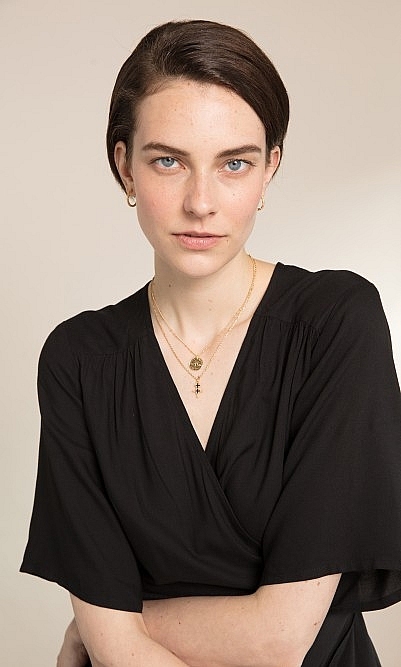 Delicate etched pendant embellished with black cross-stitch embroidery and suspended from a fine golden chain. 24ct gold-plated brass. Handmade in Paris. L23cm.